The other day, I noticed that the mall had put up some Christmas decorations by the main entrance. I was shocked. Well, not really. After all, the Christmas lights I saw were crescent moons and stars. Around here, you don’t hear Christmas music when you go into stores to shop. You don’t get Christmas music on any local stations when you turn on the radio. One of the nearby restaurants does have lights on their tree, but those lights are there year round. Besides, it is the wrong type of tree and wrong type of lights for them to be considered Christmassy. Honestly, outside of the Seatle based coffee shop that has infiltrated every corner of the globe, and apparently now a couple mall entrances, you just can’t find anything that would remind you Christmas is right around the corner. I am sure most of you who are reading this are being inundated with Christmas images and sounds. You do have busy sidewalks dressed in holiday style. For me personally, the air has a feeling of Christmas, but for most of my community, December is the same as any other month. Perhaps it is a little bit colder than November. Perhaps the year is one number behind January, but that certainly doesn’t seem like a reason to celebrate. It simply means we are in the middle of winter so we should bundle up a little bit tighter. The trees have lost a good two third of their leaves and my guess is that by the time the calendar turns over they will be bare. There are no evergreens in the many parks around my house, and there certainly aren’t any inside the houses. Even if I wanted to purchase one of my own, I wouldn’t have the first clue where to look. Maybe I could fly up to Istanbul, there are enough internationals there that you can probably find a tree if you shopped around. Maybe. These are the only “silver bells” that you can hear not just at Christmas but all year round, five times a day. The first time every morning I could almost use as an alarm clock. Currently, it is being called out shortly after 6AM. Since there is a camii (a mosque) right next to my apartment, there is no way to tune it out. As the days start to get longer, that noise pollution will get earlier and earlier until by mid-summer it is ringing out around 4:30AM. I guess I should enjoy the opportunity I do currently have to sleep in so late. What is Christmas like in your corner of the world? Is there a tree in your town that rivals Rockefeller Center? Are there lights up on every other house on your block? Does your own electricity bill triple as you light up the night? Do you have all the bells and lights and holiday glitz and glitter? Do you need it? Are you living somewhere more like me where the only Christmas decorations will be on Starbucks cups and as soon as you leave the coffee shop you can no longer hear Christmas music anywhere? Does that get you down? Some would say that the very idea of Christmas in Antep would be scandalous. The idea of God becoming a man is the highest of heresies. Trying to promote that concept could land you in a world of trouble. Good. When Jesus came the idea landed him in a bit of trouble too. It got him killed. Not just him. Some of the first sounds we hear in the Christmas story are the clattering of swords, the shouts of soldiers, and the wailing out of mourning mothers. The coming King, the baby born Messiah, the God become man was not welcome news for everyone then. It still isn’t always welcome news today. It never has been. But still, Jesus came. Still, he taught. Still, he lived out his dangerous mission as the light of the world. So we do today. Whether or not there are lights on your trees, be the light the world needs to see. 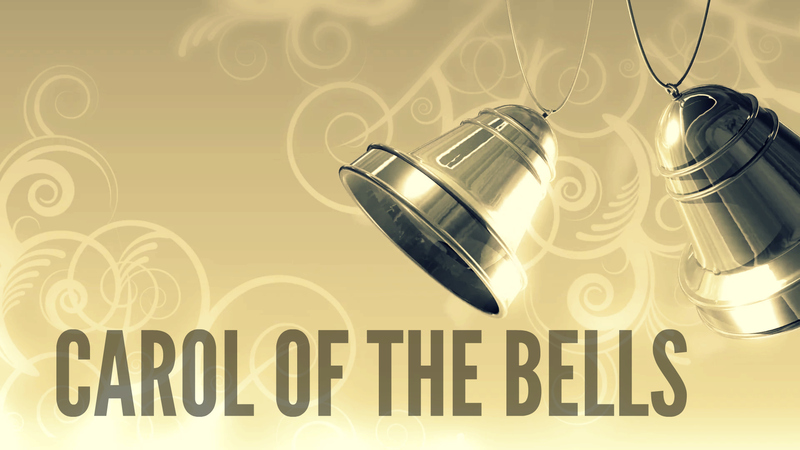 Whether or not there are bells ringing out in your community, be the sound the world needs to hear. It might not be welcomed by everyone, but it is needed for all. Thank you, I’m blessed by your words. We can get worn down by the hustle and bustle of Christmas, the never ending music, and sometimes forget what it is like when the sights and sounds of Christmas are not even there. Reblogged this on A Symphony of Grace. I just returned from a trip to Israel and Jordan. I heard the calls to prayer. I could tell they were coming from a loud speaker. While it is impressive their belief system emphasizes prayer, it was not an inviting sound. It sounded more like a command or a demand. I know there places who do not celebrate Christmas but I haven’t imagined it to be really like this. Thanks for sharing this glimpse of life in some parts of the world that aren’t broadcasted. I and agree that wherever we may be, let us try to be the sound, the light that God wants us to be, not only during this season but for the whole year. God bless. Merry Christmas! I know that there are places that do not celebrate Christmas but I never imagined it like this. Thanks for giving us a glimpse of what it’s like in some communities. What you said is true about being the sound, the light, to them as God wants us to be, not only during December but also throughout the day. Cheers and happy holidays to you! As I’ve never been outside of North America, I can’t imagine what it’s like to spend Christmas in a country that doesn’t celebrate it other than in a coffee shop. Then again, I wish we could go back to a time when stores did not put out the Christmas decorations or play Christmas music until after Thanksgiving. The commercialism here gets out of hand, starting in September/October, and blaring at us for three months. I love the feeling, sights and sounds (and food) of the holidays, but I agree that we need to be the light and sound of the world all year, in reflecting the love and peace of Jesus. Happy, Merry Christmas to you! Then yes, I do my best to be as religious as possible.